In-Play betting has become hugely popular in recent years, with bettors enjoying the chance to bet on live sporting events as they are taking place. As a soccer match takes place over a 90-minute period, it’s a sport that lends itself very well to in-play betting, with customers able to sit back and watch the action unfold, before deciding what bets they want to place. In-play betting works in the same way as betting using a pre-match soccer betting market. The only difference is that the odds are being refreshed on a regular basis, so you might find that the 3.50 that you want to back has suddenly changed to 3.00 or 4.00. Always be aware of the potential for prices to change! Customers login to their favorite online betting sites and click on the ‘In-Play’ section, where it will show the soccer matches that have live markets available. As with pre-match soccer betting, you can still bet on the 1X2 market, which is ultimately deciding which team is going to win the game. Alternatively, the best in-play betting sites offer popular live markets such as Next Team to Score, Next Goalscorer and Half-Time Score. Several bookmakers now report that in-play betting accounts for over 50% of turnover when it comes to popular soccer matches, especially those that are shown live on TV, such as Sunday afternoon, or Monday night games. The biggest attraction of soccer in-play betting is the capacity for assessment; you’re able to check odds with concrete knowledge on your side. In other words, since you can view how a team is playing and how the match is shaping up, you’re better informed when you place an in-play bet than you could be when making a bet before the game. 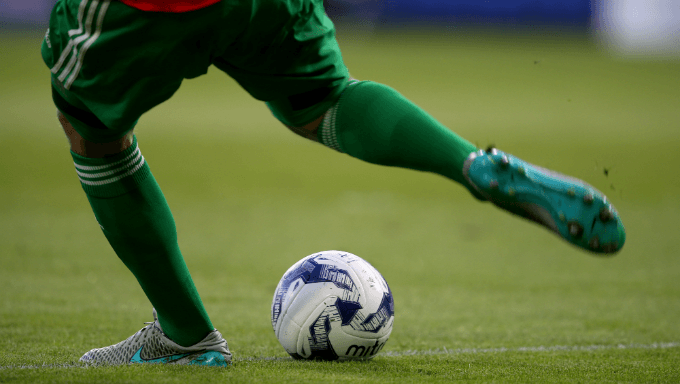 Top soccer betting sites such as Bet365, Ladbrokes and Paddy Power all have live streams of games online, providing up-to-date statistics and information to help you make a judgement on how much value the odds represent. It can be a rollercoaster experience, but in-play betting also allows customers that instant gratification of a quick win. You can often win several times during the 90 minutes, across a range of soccer betting markets, with Cash Out also available - that means you can back your judgement and close out for a profit, without the market being settled. We always advise betting customers to gamble what they can afford. When the fun stops, you need to stop, and just enjoy a soccer match without placing any further bets. If you strike several in-play bets on a soccer match, it’s unlikely that you’re going to win with all of those wagers. That is because soccer is a low-scoring game and there are lots of different variables when it comes to determining the outcome at the full-time whistle. The best in-play betting strategy is to take in the opening exchanges of a soccer match before making the decision to place a bet. If you bet immediately after kick-off, then you might as well snap up the pre-match odds, which traditionally offer better value before the game goes in-play. It often pays to be brave and not get scared off by a big price, although less is often more when it comes to the volume of in-play bets placed, considering that there is a bookmaker margin factored into every soccer betting market, and especially so with in-play betting markets.